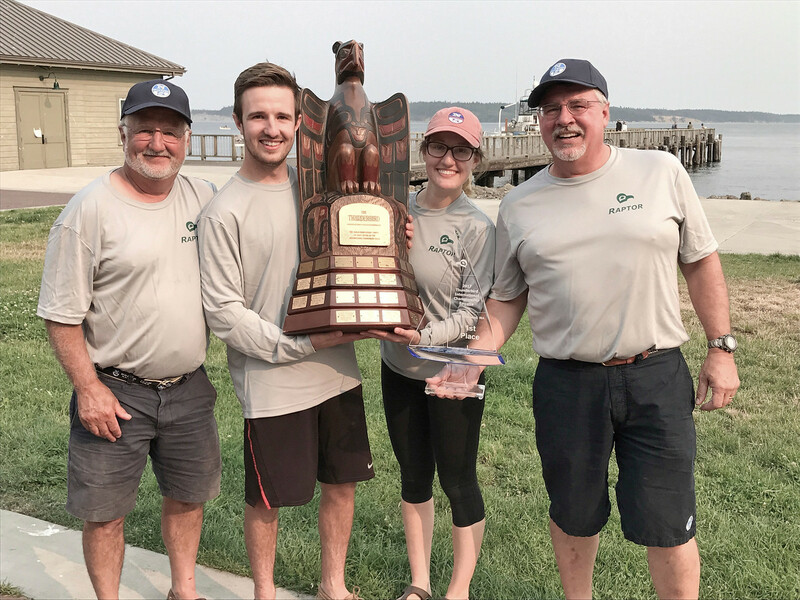 The 2017 edition of the Thunderbird Internationals was held on August 1st through the 5th in beautiful Port Townsend, Washington. It was an epic event! Seventeen races over five days! For starters, what better venue for sailing than the historic seaport of Port Townsend? In recent years, the city has become a mecca in the Pacific Northwest for Thunderbirds. There are currently about 14 boats in the local fleet. With a back drop of Mount Baker and the Cascades to the east, the Olympic Mountains to the south, ferries and other boat traffic coming and going, a walkable downtown with lovely shops and restaurants, it was the logical choice to host the 26th Thunderbird International Regatta. On Monday, the day before the start of the regatta, the race committee went out and held practice races. It was a chance for the Birds to get out and shake off the cobwebs and to check out the competition. Among this year’s favorites, the event had 3 returning International Champion skippers and boats: Duane Emnott’s Thunderbaby, Craig Burnell’s Predator, and Grant Chyz’s Raptor. The first day of racing saw winds in the 8 to 12 knot range with very close racing, tight mark roundings, and lots and lots of protest flags. It looked like a May Day celebration on the water with all the red flags. Predator seemed to own the day but an OCS in the second race put a damper on that. Winds increased on the second day reaching 23 knots at one point. The racing continued to be very tight and as the racers became more familiar with each other and the crowded mark roundings, the number of protest flag sitings dropped. It also become clearer who the contenders for the title would be. The favorites were there but so was local sailor Stig Osterberg on 1190 Raven. Port Townsend Bay is a tricky place to sail, with swirling and changing currents and Osterberg seemed to find every favorable wind shift and current. By the third day of racing the wind decreased significantly and this was to be the conditions for the remainder of the regatta. Racing moved out of the bay, due to lack of wind, to the area near Fort Worden. The race committee was able to get off three races and once again, local knowledge paid off with Raven winning the day and Raptor close behind. Day four saw the boats back on Port Townsend Bay competing in light winds. Raptor took charge of the day with two bullets and a 2nd. Thunderbaby had a good day followed by Raven. At the end of the day Raptor stood at the top of the standings with Raven 3 points behind and Thunderbaby back a few more places. The stage was set for the final day. Day five and with up to three races scheduled in light conditions, the script was set. Raven needed to be on the attack and make up ground on Raptor. Raptor just needed to stay close and sit on Raven. And the most dangerous boat in any race or regatta, the third-place boat gets to sail their race, which is what Thunderbaby did. At the end of the day Thunderbaby won the day with two 1st and a 2nd moving them into second place. Raven ran out of tricks and ended the day with a 6th, 5th, and 3rd which moved them into third place. And Raptor did what they had done all week, sail consistently well, make no mistakes, and became the 2017 International Champion. 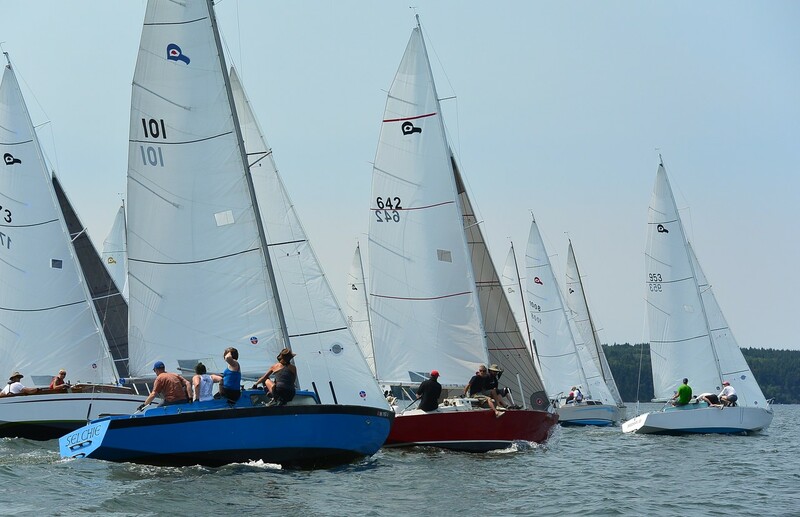 The regatta was noteworthy for Grant Chyz for a number of reasons. His crew was a family affair with his brother in-law Jack Christiansen of North Sails, his daughter Helen, and his son Paul. It was also the first time in history that any boat and skipper has won the International trophy 3 times.